Most of our lives we’ve been told the primary source of energy for our bodies is sugar. However, there is a more efficient source of fuel that is rarely utilized: ketones. Ketosis - is the metabolic process of using fat as the primary source of energy instead of carbohydrates. This means your body is directly breaking down its fat stores as energy instead of slowly converting fat and muscle cells into glucose for energy. You enter ketosis when your body doesn’t have enough glucose (carbohydrates) available. The prime function of the ketogenic diet is to put the body in ketosis. Ketones are byproducts of the body breaking down fat for energy that occurs when carbohydrate intake is low. *Smartship Customers - Customers with a recurring order will achieve Smartship Customer status, which carries these additional benefits: • Discount off retail prices. Have questions about purchasing ketones, please fill out the form below. A representative will get back to you as soon as possible. OR maybe you’re interested in more information about PRUVIT distributing opportunities please click here for more information. Please complete the form Or call us at 713-621-7722. 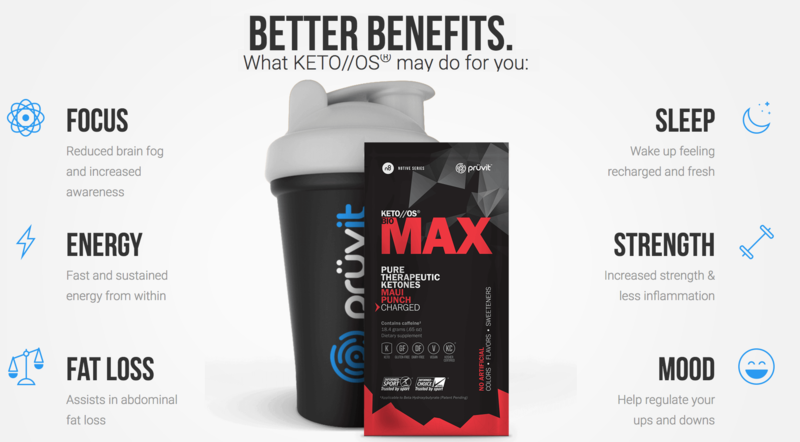 Pruvit offers a delicious on-the-go ketone fuel source that delivers carbohydrate-free fuel for your mind and body. Just mix in water and you have a delicious, refreshing beverage that helps you feel better, think more clearly, and perform at higher levels. Ketones are for anyone looking to manage their weight, maximize cognition, or simply feel more energetic in a low carbohydrate environment. It’s perfect for busy professionals, trainers, or even on-the-go moms and dads who want to look and feel their best. Why Our Bodies Use Ketones? Increased Fat Oxidation: In ketosis, your body burns dietary fat and your own body fat as its primary source of fuel. Appetite Suppression: Feeling full, even on a weight loss diet means you can better listen to your body’s true hunger signals. Blood Sugar Regulation: Weight loss diets that include high carbohydrates can create blood sugar spikes that leave you feeling hungry again soon after eating—as well as tired and unfocused. Higher Ketone Levels: Especially in the morning or between meals, ketones boost your body into an effortless fat burning mode. Physical Performance: Ketones before and during workouts give you energy and decrease need for oxygen. Mental Focus: Ketones improve energy levels for brain cells, increasing mental output and sharpening focus. Improved Overall Wellbeing: Ketones help you get into ketosis for benefits from enhanced well-being, to disease prevention and longevity. Exogenous ketones are a supplement used for boosting performance and energy, or complementing a low carb diet designed for weight loss. They are ketones you can consume that your body isn’t directly making. However from your cell’s perspective, they cannot tell the difference. Recall that fats break down into ketones, which are then used as fuel by the body. Improving the function of mitochondria, enzymes, and fat usage to improve overall health and physical performance long-term. In the morning or between meals for a sustained energy boost. Before or during exercise as a no-carb energy boost. Try our Pre-Workout supplements for an even bigger boost to your workouts. During the day for peak mental performance and sharper focus (Try mixing it in your coffee or tea). After eating a meal that knocks you out of ketosis (eg. high carbs) to transition yourself back into ketosis. Most people out there looking to improve their lives have a lot to benefit from the ketones. An unbalanced diet can lead to lack of mental clarity, showing up as foggy brain, having a hard time remembering important facts, or struggling to stay focused on tasks. Ketones improve the efficiency and energy levels of the mitochondria, which produce energy for cells of the body and brain. Eating healthy fats is essential. Every single cell in our body needs fat to function, especially our brain cells. The brain is the fattiest organ, comprised of over 60% fat and prefers fat for fuel. 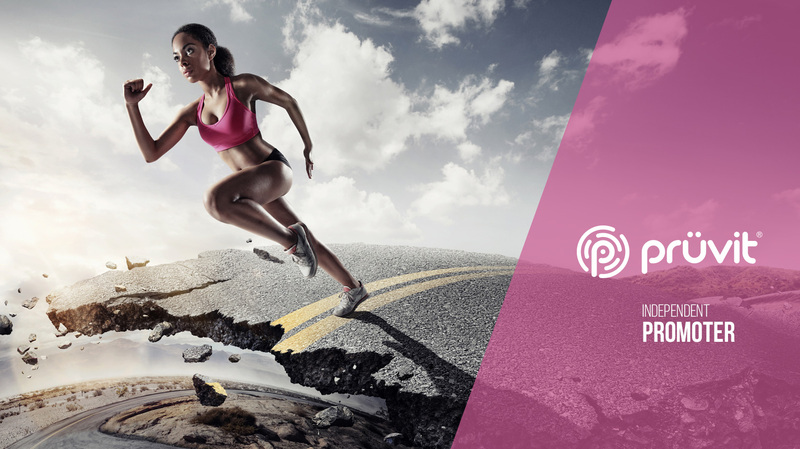 Higher Ketone Levels:Especially in the morning or between meals, ketones boost your body into an effortless fat burning mode. Physical Performance:Ketones before and during workouts give you energy and decrease need for oxygen. Mental Focus:Ketones improve energy levels for brain cells, increasing mental output and sharpening focus. Improved Overall Wellbeing:Ketones help you get into ketosis for benefits from enhanced well-being, to disease prevention and longevity. Ketones can be an excellent tool when your main goal is to lose weight and obtain optimal overall health — in an easy and natural way. Although it’s not for everyone, it has helped hundreds of thousands of people lose fat, while gaining greater mental and physical performance, and maintaining energy from morning to bedtime. Aside for the treatment for conditions such as epilepsy, inflammation, neurological disease and diabetes, patients who successfully transitioned into a ketogenic lifestyle experienced the most significant improvements in fat loss, physical output, and overall health markers. Weight loss - When your body is using fat directly as a source of energy, you lose weight more readily because your body taps into your own fat stores for energy instead of the sugar you eat. 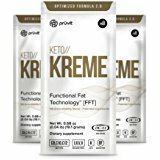 KETO//KREME™ [FFT] is specifically formulated to boost the body’s natural ability to convert fat into energy quickly giving you a mental and physical boost. Adding KETO//KREME™ [FFT] to your daily routine is a simple way to promote a keto lifestyle and up your ketone game. You can’t deny it. 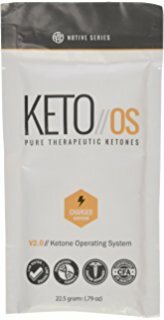 Exogenous ketones are one of the hottest products on the market right now, especially for those interested in ketosis and the ketogenic diet. 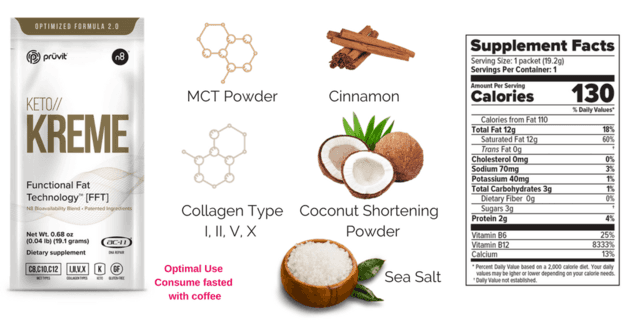 But what exactly are exogenous ketones, and what do they offer? We’ll dive more into this about how to benefit from supplementing with exogenous ketones. Exogenous ketones come in different forms and even more importantly can be used for several different applications. Fat burning, reducing ketosis symptoms, enhancing physical performance and mental performance are some of the ways that ketones can be used. If you are new to ketosis and don’t know much about it, it is a metabolic state, where your body preferentially uses ketones (instead of glucose) for energy. This can lead to a host of different health benefits. If you’d like to learn more about ketosis, what ketones are, and how to benefit from these, feel free to investigate this topic more. 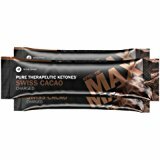 What Are Ketones, you’ll know that there are three different types of ketones your body can make in the absence of carbohydrates, typically from stored fat. However, there are ways to get ketones easily from exogenous (outside of your body) sources. There are three different types of “ketones” that your body runs on: Acetoacetate, beta-hydroxybutyrate, and acetone. Beta-hydroxybutyrate is the active form that can flow freely in the blood and be used by your tissues, so that is the one that most exogenous ketone supplements are based off. Ketone esters are the raw ketone (in this case, beta-hydroxybutryate) that is not bound to any other compound. 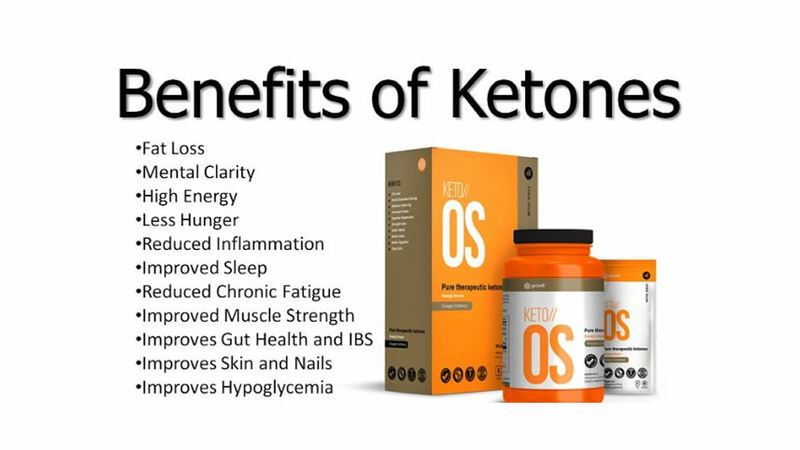 These exogenous ketones can be utilized a little quicker and potentially have a better effect at raising blood ketone levels as your body doesn’t have to cleave the BHB from any other compound, however, there are some trade offs. Most users of traditional ketone esters claim that the taste is nearly unbearable. Also, gastric distress is a very common side effect. Another form of exogenous ketone supplements come in the form of ketone “salts.” This is where the ketone body (again, typically beta-hydroxybutyrate) is bound to a salt — sodium, calcium, magnesium or potassium generally. While ketone salts may not raise ketone levels to an absurd amount like true ketone esters, the taste is much more manageable and the potential diarrhea side effects are lessened to a great degree. For the majority of the population, this is the type of ketone supplement they should be looking for. MCT (medium chain triglyceride) oil, and other medium to smaller chain fats can be used to help boost ketones as well, however this is through an indirect pathway. Whereas beta-hydroxybutryate from ketone salts or esters can be immediately used for energy, MCTs have to be shuttled to cells to be broken down, which then ketone bodies are made as a byproduct, only then can be used for energy. The downsides to MCT oil for ketones is that they do little in raising the actual blood levels of ketones. MCT oil is quite calorically dense as well, meaning that it’s not a great solution for those looking to keep calories low and burn fat. There are times when eating a fully ketogenic diet is not realistic or desired. It can be very restrictive and difficult for a lot of people to follow. Some people may feel lower energy with a full ketogenic diet, so they can use exogenous ketones as a targeted way to get the benefits of ketosis in between meals. If you are an athlete and need to eat carbohydrates for performance, you’ll never be able to get the full benefits from ketosis as you’ll never be able to be fully in it. You will need carbs around a workout, but also, you may want ketones to power a longer workout. This is where exogenous ketone supplementation can be beneficial. If you’re a normal person but you’re generally following ketosis, there are often times when you eat certain foods or do certain things that kick you out of ketosis. If you eat too much protein or carbs, you can take exogenous ketones to get you back into ketosis instantly instead of waiting 2-3 days. This is a very popular benefit that many people are looking for when they are looking into ketosis. Taking exogenous ketones doesn’t make you magically burn fat, however, it does get you into ketosis quickly. 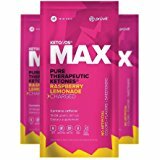 Taking exogenous ketones will let your body know that it is time to use ketones. When you’re done using the exogenous ketones as fuel, your body will start asking for other places to get ketones from. This would be fat. In general, more ketosis equals more fat burning. WHEN YOU WANT TO GET BACK INTO KETOSIS QUICKLY. Not everyone can follow a very strict, high fat, low carb diet. For those who have done ketosis before, they will know that when you get kicked out of ketosis, it can take awhile to get back in. Not anymore. You can use exogenous ketones to ramp your body back into ketosis effortlessly. 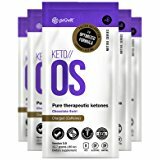 Using exogenous ketone supplements shortly after a meal with carbohydrates will tell your body that you want to be using ketones for energy instead of those carbs. Instead of eating very low carb for days, you can just take a scoop of exogenous ketones and get back into ketosis. When your body transitions from using energy from carbohydrates to ketones, there can be a lot of nasty and unwanted side effects. These include low energy, bloating, irritability, headaches and fatigue. This is because your body is “in between” burning carbs and burning ketones and hasn’t become efficient at burning ketones and producing them from your fat stores yet. When your body has demands of physical performance, there are a few different energy systems it can use. These require different types of fuel. If you have very explosive demands, such as sprints or quick movements, your energy should be coming from carbohydrates. This will come from stored glycogen. However, your body only has a certain amount of stored glycogen to use for explosive movements. When you run out of glycogen, your body can either make more, or start making energy from fat. Both of these processes are dependent on using oxygen for energy. However, when you take exogenous ketones, your body can use that energy immediately with a much lower oxygen utilization. This transfers especially well to endurance exercise, where a big limitation is the amount of oxygen that is available for energy throughout the exercise. With exogenous ketones, you can. Your brain has a very tight barrier so not everything in the blood can get through. This is called the blood brain barrier. Because your brain uses 25% of the energy that your entire body uses throughout the day, you need to make sure it is fueled appropriately. Glucose can’t directly cross the blood brain barrier. When you eat carbs, you get swings in energy that is available to cross the blood brain barrier which leads to mental fog. Ever feel mentally foggy after you eat a super dense carb meal? That is the dip in energy and a ton of metabolic processes trying to shuttle glucose around your body. No one wants to feel mentally foggy, so good thing there are exogenous ketones. Ketones, however, are small enough to cross the blood brain barrier readily. This means you can have a constant supply of energy to the brain, with no other processing needed. If you’re not always in a state of ketosis, you won’t always have a supply of ketones to the brain. This is when you can take exogenous ketones. 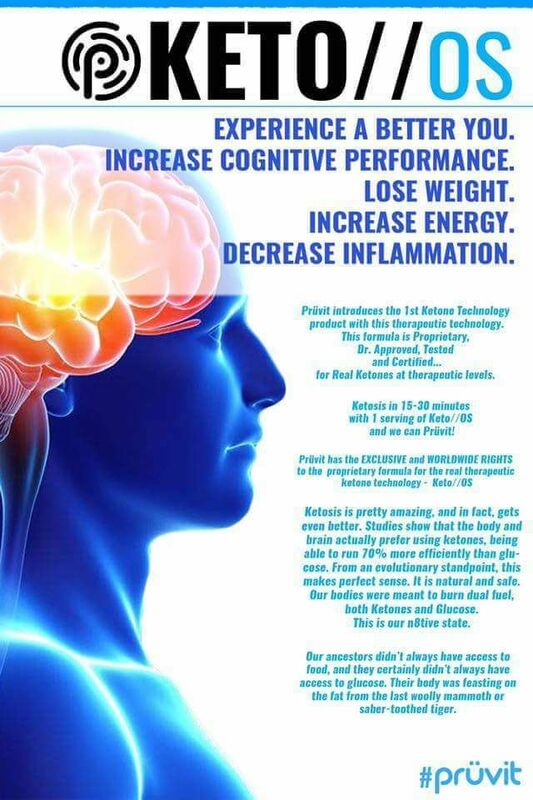 Think of one of the benefits of exogenous ketones as on demand brain fuel. If you need some mental energy, you can take exogenous ketones on an empty stomach and they will readily cross the blood brain barrier and be used as such. 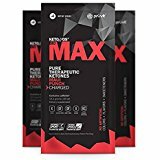 Many high performers, such as Tim Ferriss, use exogenous ketones for mental performance and many other benefits. As you can see, there are plenty of ways to use exogenous ketones for benefits. We do offer an exogenous ketone products. 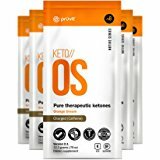 Pruvit ketones supplements comes in different flavors.